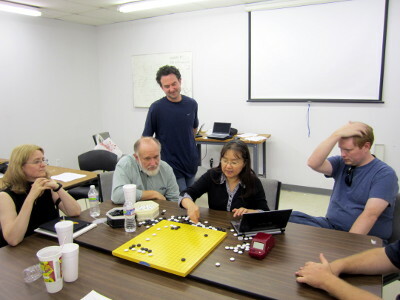 The fourth annual North Carolina Guo Juan Workshop was held at the Tech Shop in Raleigh, North Carolina. 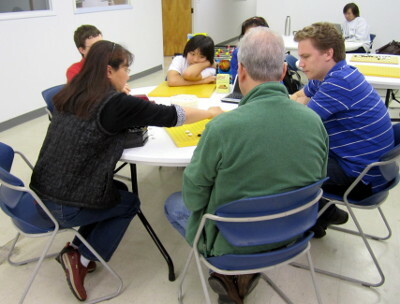 Seventeen go players benefitted from Guo Juan's teaching and guidance, and came away from the weekend with stronger skills and more enthusiasm for this wonderful game. 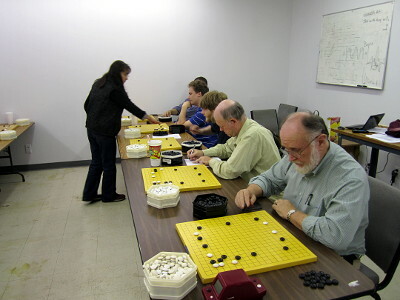 In addition to lectures and game reviews, Guo Juan also continued the tradition of Survivor Go. In survivor Go, the participants are split into two teams, and each member takes a turn making a move on the demo board. 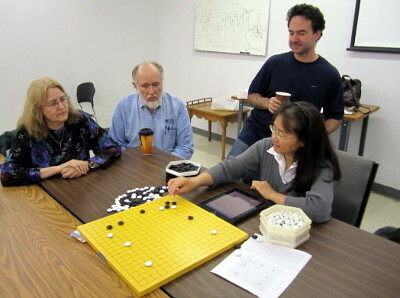 Guo Juan judges each move based on the individual skill level of the player, and if the move is bad, that player is eliminated from the game. 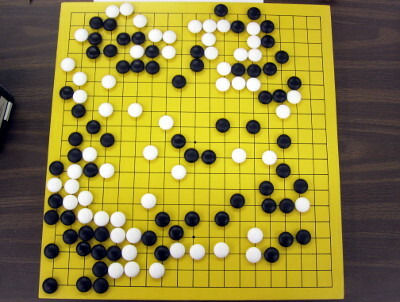 Guo Juan explains why the move was considered bad for that player's level, and shows better possible moves. 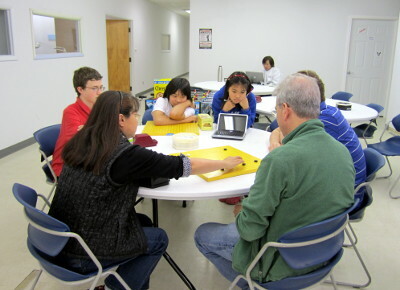 Our teacher also played a simul game with all of the participants, which is always a favorite part of these workshops. Following are more pictures from this event. 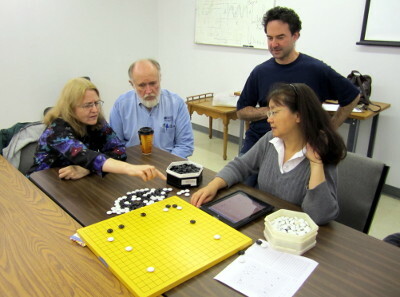 Guo Juan is now offering online group lessons, a new format for accelerated online training. Click here to visit Guo Juan's Intensive Online Training website. Join us next year! Location and dates should be announced by late August, 2011.